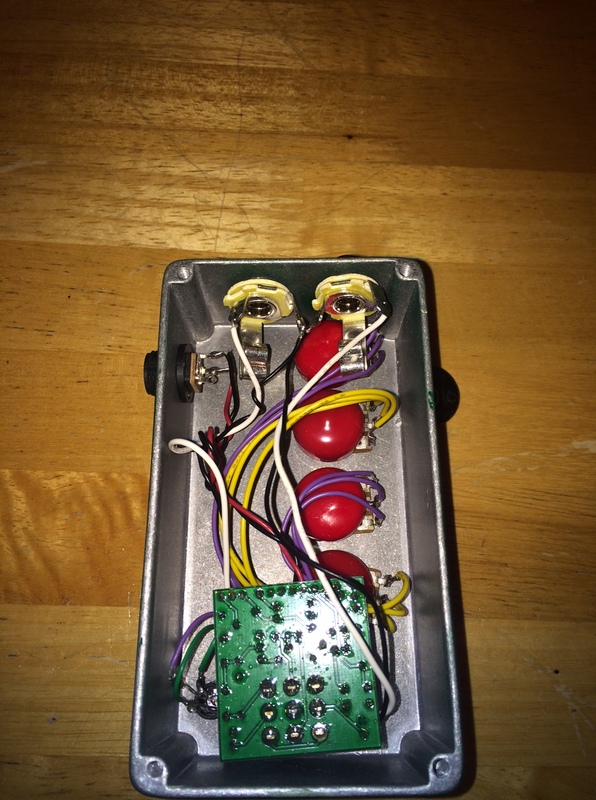 I just finished boxing up a Klon Centaur clone – the MKC (Max Klonish Circuit) by the gifted folks at guitarpcb.com. The original Klon is an overdrive designed to really drive a tube amp hard. 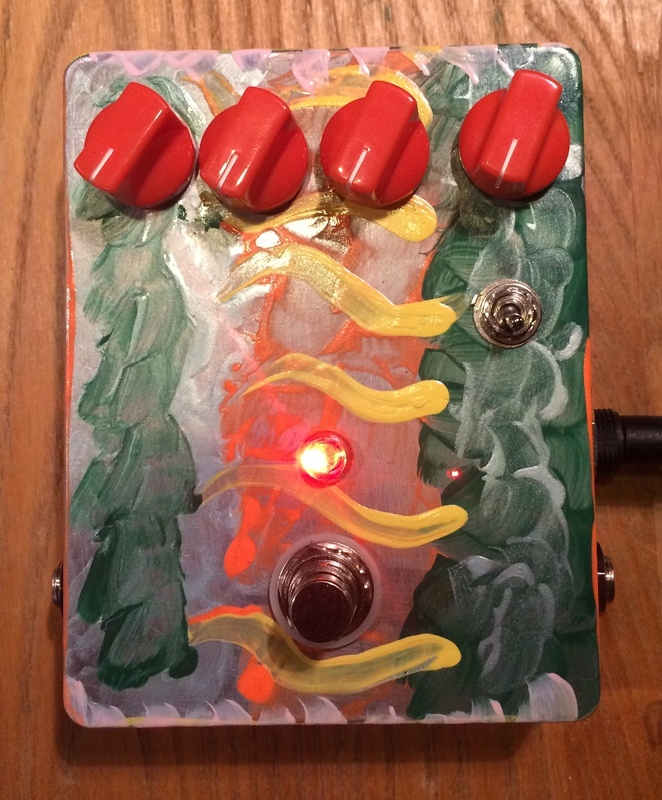 It is a really nice grit pedal by itself. Not too much grind, but something that could be an “always on” sort of dirt pedal if you need that sort of thing. Homemade artwork on the box courtesy of my little girls. Sorry – no gutshots on this one. Not my best wiring work anyway. This is a recycled box, and it was a tough fit. This is a really funky pedal, based on the old Mutron Octave Divider. To be honest, I am not exactly sure what I would use it for, but that’s not REALLY the point, is it. 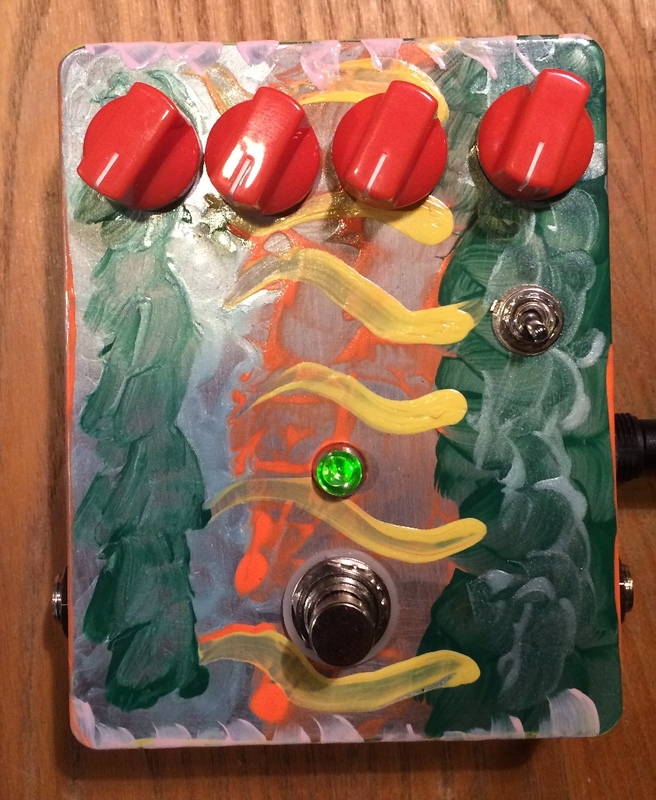 Octave up and Octave Down, plus a Green Ringer built in. I imagine a better or more creative bassist would use the heck out of this, but for me, its just fun. For all of the components, a pretty easy build, thanks to VERY detailed instructions from BYOC. 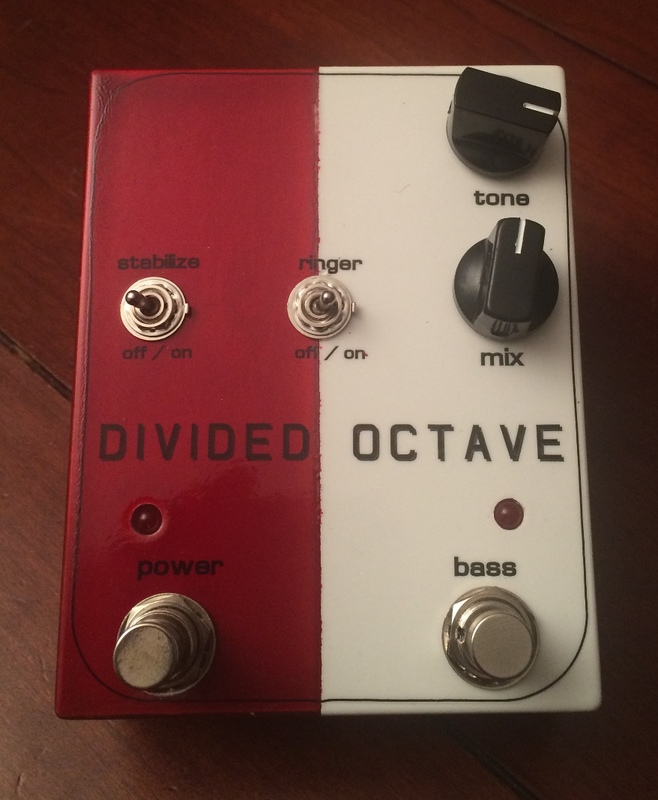 Here is a link to the project – Divided Octave. 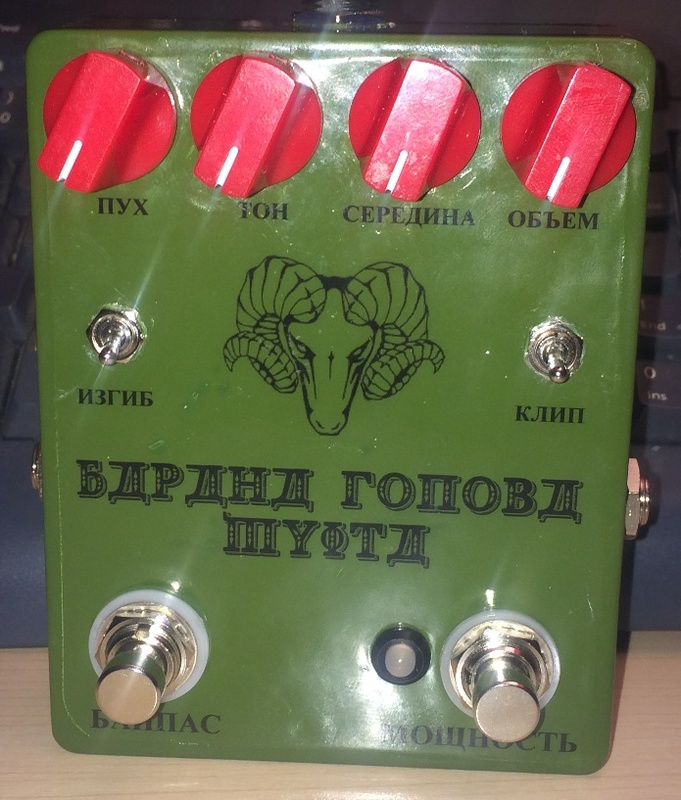 This is a Bass Overdrive from GuitarPCB.com. I really love this pedal. Everything from warm, soft tube-like sounds to a heavy, driven grind. 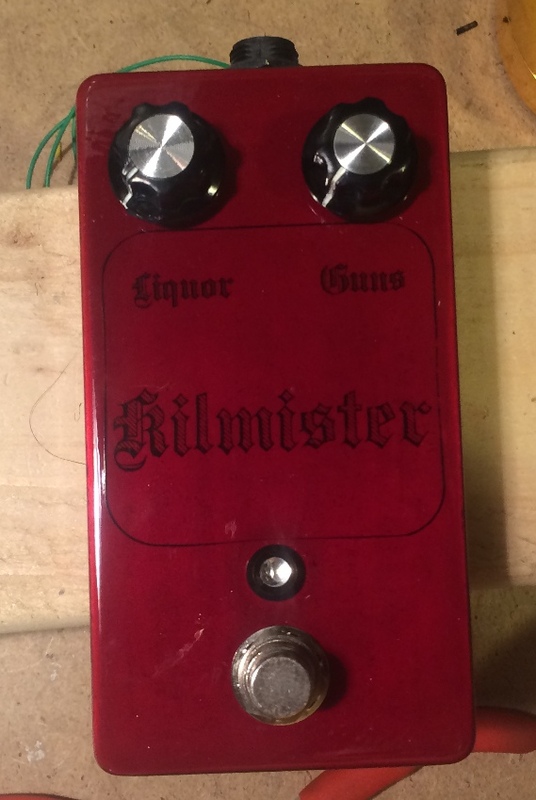 Man is this pedal awesome. 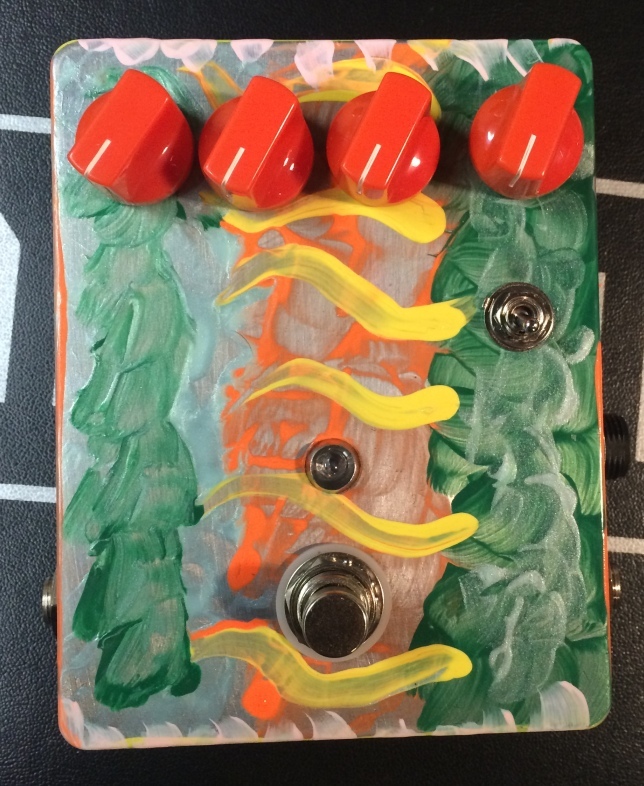 Just walls of thick, creamy, bass fuzz goodness. 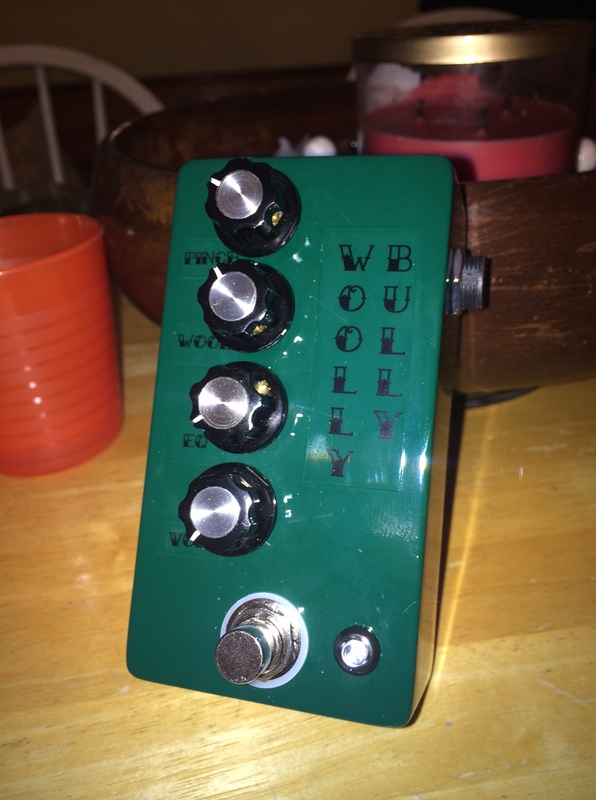 Here is the latest – the Woolly Bully! 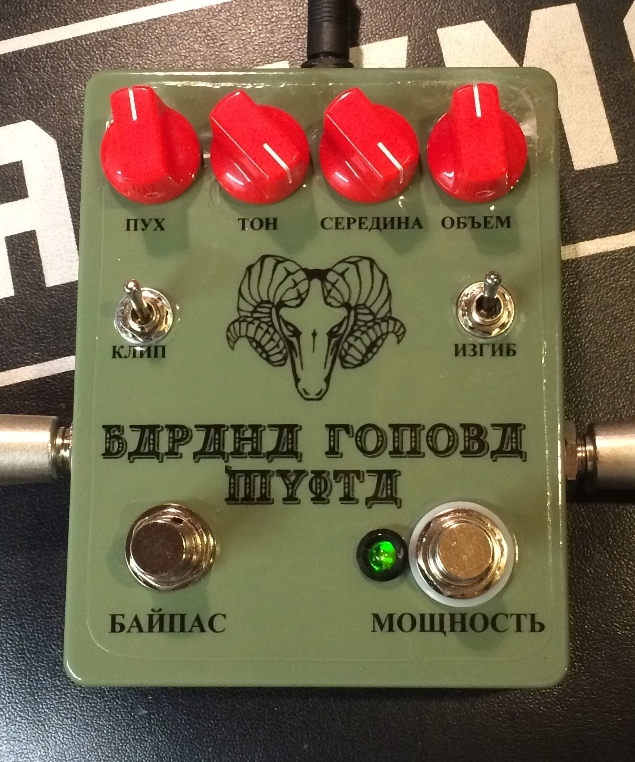 Its a Woolly Mammoth clone done on the Mastadon Fuzz PCB from GuitarPCB.com. 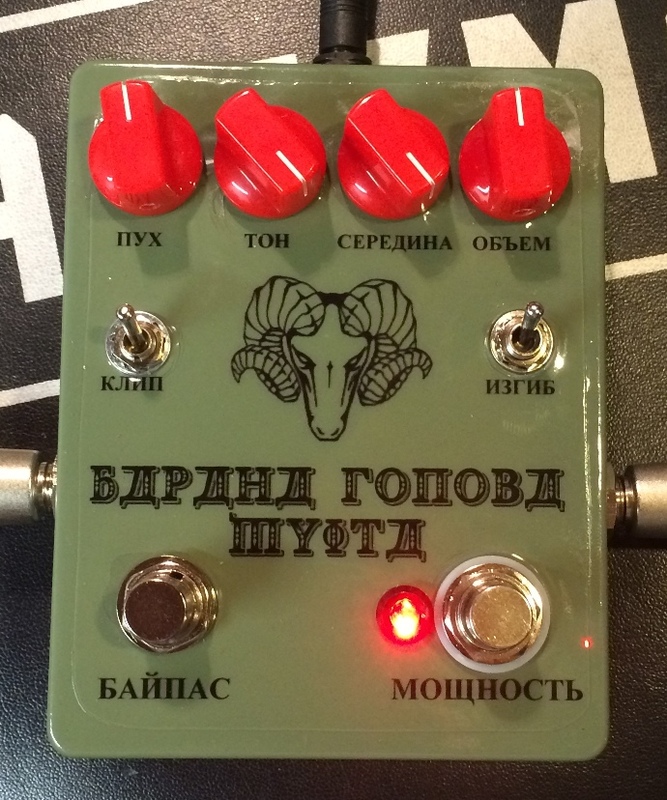 It is just a monstrous fuzz pedal. Still exploring all of the tones. (1) I don’t like the graphics, the black on dark green is too hard to see. 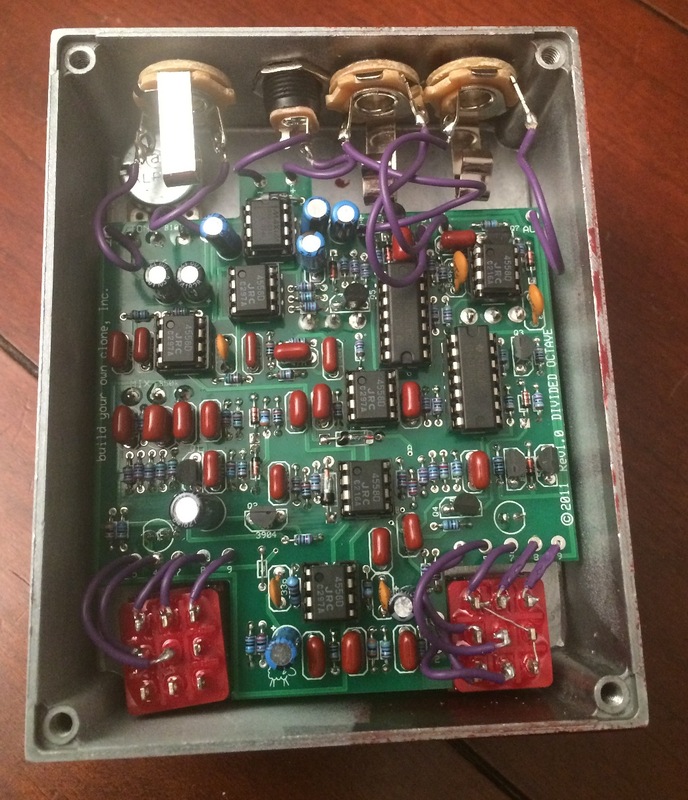 (2) I recycled an old enclosure that was drilled for another project. I made this work, but it was not ideal. Should have used a better enclosure. (3) I love thick, woolly fuzz for Bass! 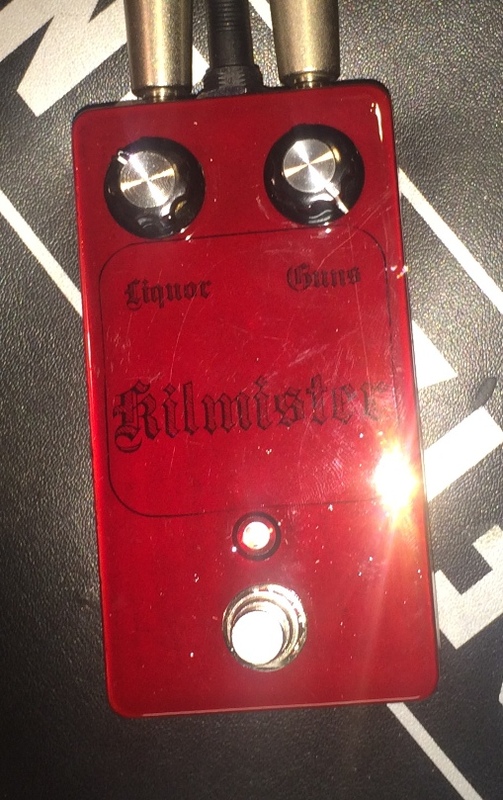 (1) This pedal is just awesome on bass. 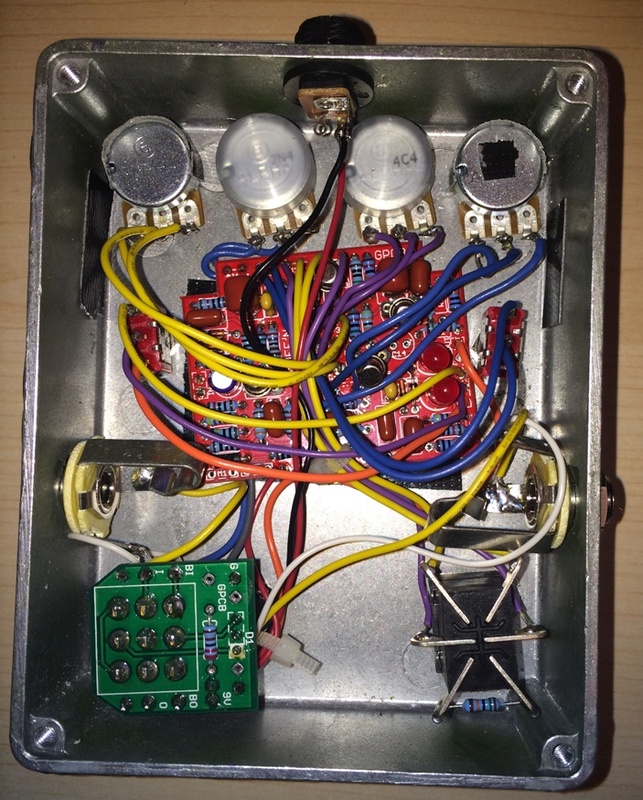 (2) Here is a link to the project and PCB – Muff’n! 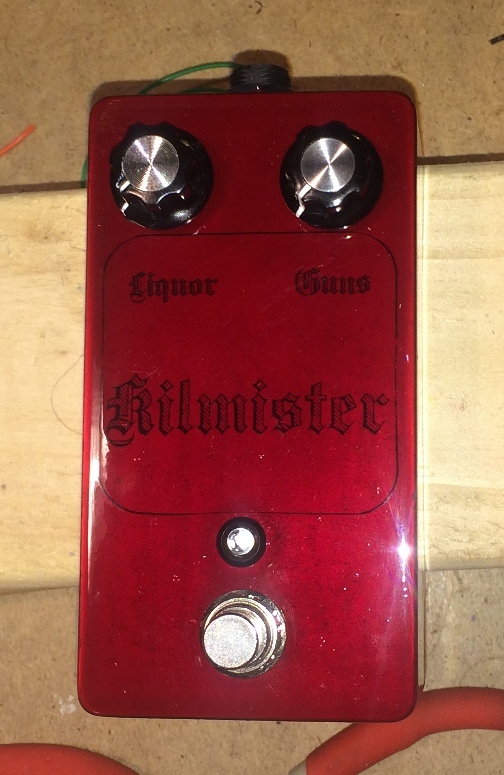 (3) A huge shout out to Barry, petevig, Jeffro, and the rest at the Guitar PCB forums for all of their help. 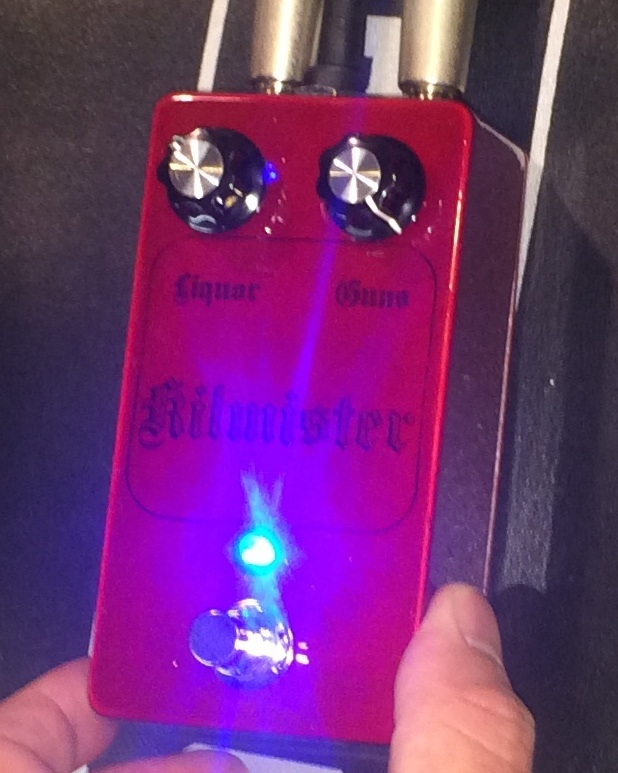 (4) The flexibility of this pedal is really amazing. 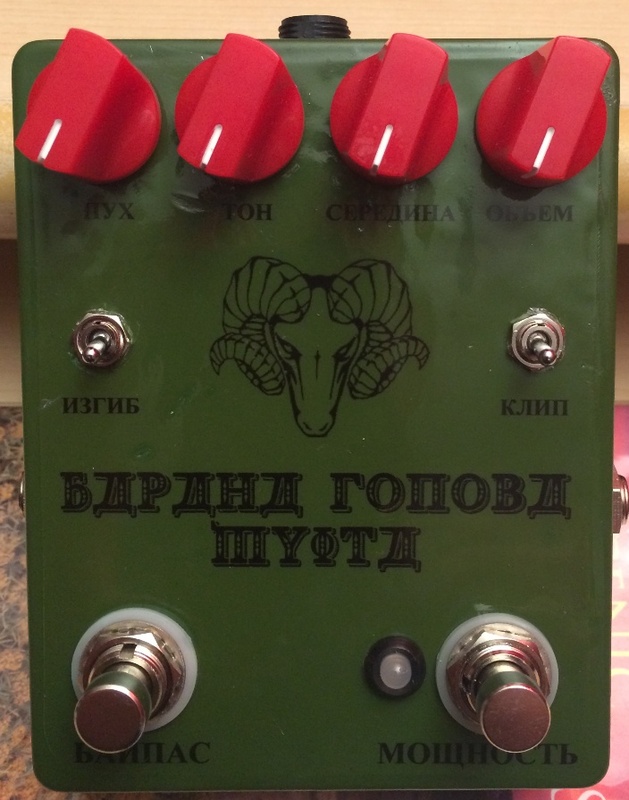 I added the Mid Scoop Control, MuffBender, and Pi Tone Control Bypass mods. These, combined with the diode selection switch that is already part of the circuit just gives you an amazing variety of tones. (5) I hope the Russian translations are correct…LOL. (6) I will never again use Rustoleum Clear coat. What a disaster. As you can tell from the pictures, the clear coat is too thick, and never evened out. Its been drying for a week and a half, and still needs to cure. Ugh… I have used Testor’s clear lacquer with GREAT success. Its more expensive, AND TOTALLY WORTH IT. 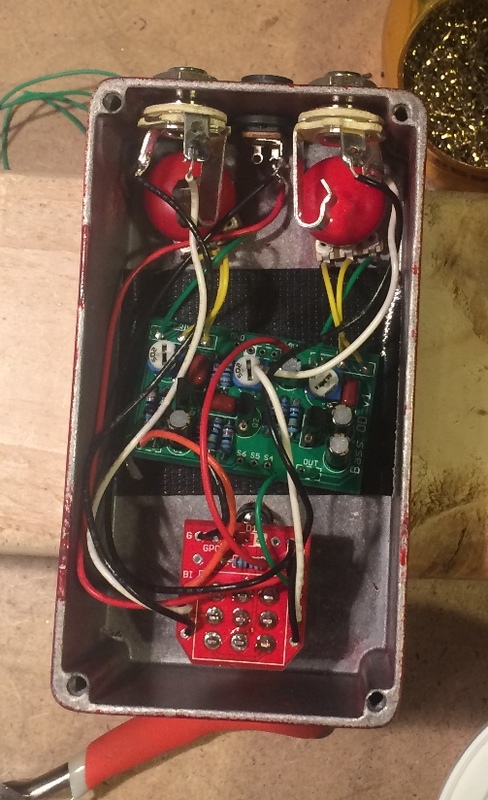 (6) Come hell or high water, I will debug the first Muff’n build and get it working as well.